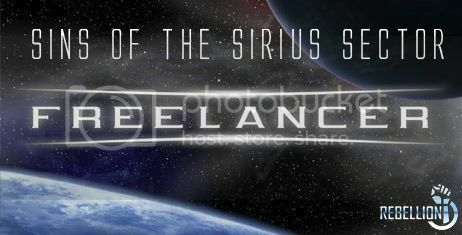 The events in this mod occur 10 years after the story of Freelancer. by Rheinland, and they're not happy about being separated from their brethren. as fast as jump-gates it helped to keep the colonies in contact. export taxes to Bretonian space, raising the cost of vital H-fuel. a foothold in contested space. that Edison is the Devil Incarnate who tried to stop mankind hearing their message. and their insanity is quickly spreading. all-out war could break out at any moment. Well, the ship/station textures are compressed into the the .mat files wich are automaticaly extracted by the .CMP model importer. Missiles at least are easier because the .ale was only for the trail, the missile itself is a .cmp so I can always make a new trail or use standard sins effects with the freelancer missile models. This HQ will be kept up to date more frequently than the thread here on SOSE forums, wich will be updated when I've got more to show. Just remember that each faction only uses two weapon types, and doesn't use non-energy based guns at all. So the Siege cannon should still do either Tachyon or Plasma damage. 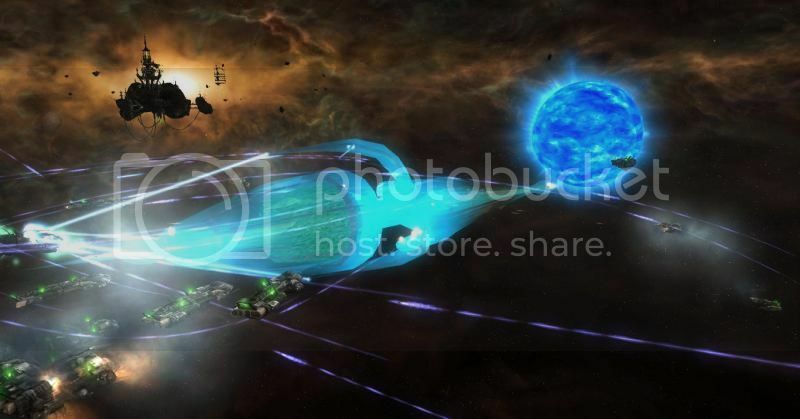 EDIT: Ha, forgot Kusari used Neutron guns... silly me. Also, I'm not sure how you could exempt the smaller capitals, as they're all starbases. It can either hit starbases or it can't. 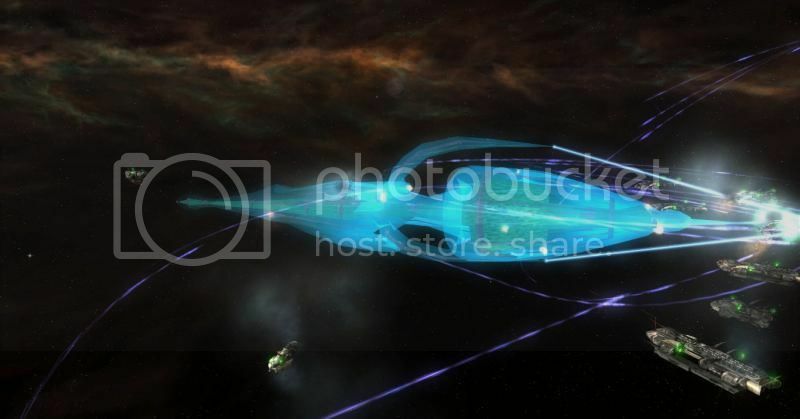 Also, with the AI versions of the factions battleships, which would be capital ships, they wouldn't be able to shoot them at all. It is a conundrum. I've gone and set up an account there right now. 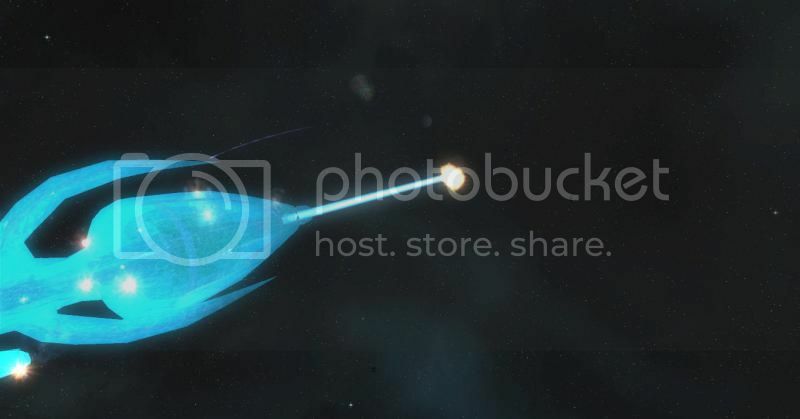 I know there were no projectile based weapons in freelancer, but looking through game assets and old code there was going to be originaly (probably before Chris Roberts left) I also love projectile weapons so there will probably be a few.. However the energy weapons will be featured most. Oh wow, that actually works? That's great, guess I learned a new trick now, hehe. Oh, a thought I had, maybe one of the Freelancer mod teams you contacted might be able to help with accessing the .ale textures. the basic idea, is that weapon type (ie antilight, antiheavy) will be able to hit everything above their class, and two levels underneath. So antiverylight can hit everything, but will do little damage to larger classes as it is primarily for taking out light fighters. antiheavy on the other hand cannot hit light fighters, these weapons are designed for hitting slower ships and the light fighter is too small, fast and manuverable for the weapons to get a lock. It can however still hit heavy fighters, and VH fighters as these ships are not as agile as the light fighters. I'm going to include the Directional Sheild FX shader from RC-1290 as after playing with it... it looks freaking awesome. All hail our glorious internet overlords. Can't wait to see the battleship in action. I think I'll change the regular ship-to-ship torpedos into an ability too so that they can be used in a broadside battle... at the moment they're pretty useless as they only fire forwards. Finally seeing it in action in the Sins engine, just... wow. Great job, man, this rocks. How are you finding the music during your testing? It seemed to be working appropriately for the situation most of the time when I tested, but I only tested for about a day or so. I'm finding the music pretty good so far, but I haven't really tested it extensively either... I love the main menu theme so much. Yeah, it's a lot of guns >=P battleship will generally have a lot more firepower that they did in freelancer. Haha, yeah, me too. I was inspired by Myfist0's amazing main menu theme for the Sacrifice of Angels 2 Mod, I'm very pleased with how it turned out. Mmm, I've been trying to think of other ways I can help with your mod right now, but apart from occaisonally coming up with some game mechanic ideas, I can't really think of anything. Do you have any ideas on how I can help more? Well, I would like to replace the UI sound fx with freelancers. 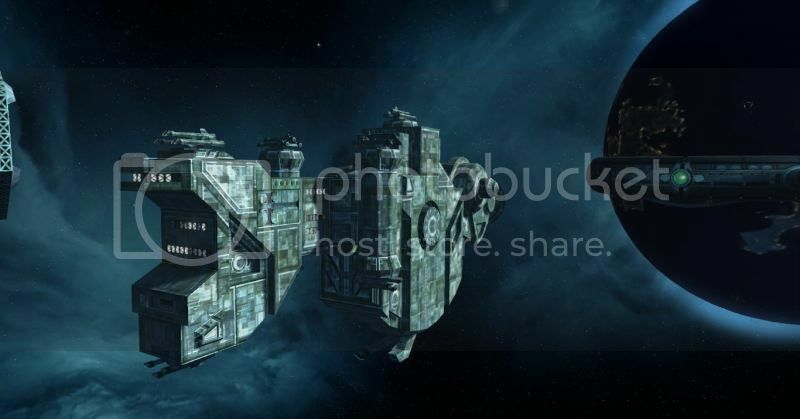 The Kiel Class Shipyard is one of the largest shipyard designs in the Sirrius Sector. These massive constructs were designed primarily for rebuilding Rheinlands capital fleet, and as such can build a Bismark class faster than ever. Of course all other ships produced at a Kiel Shipyard will be built faster than ever before too. Since the First Nomad war, Rheinland replaced Oder Shiyard with several Kiel Class Shipyards, recycling The Ring into a resort. courtesy of 'Shattered Worlds : War Torn' and DFM Engineering. The Wraith is unique in the Rheinland Navy for technicaly going against their philosophy of heavy armor and firepower. The reason behind this is the Rheinland Naval Command recognised that while their firepower was unmatched, they needed to FIND the enemy before they could lay waste to them. 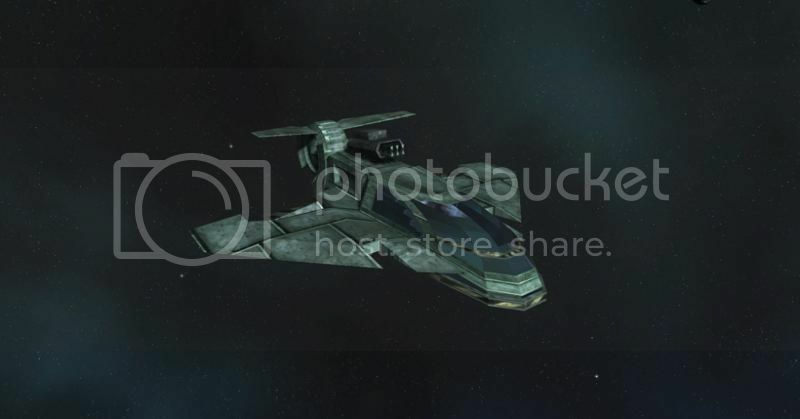 Thus the Wraith Light Fighter was designed as a highly mobile recon ship. 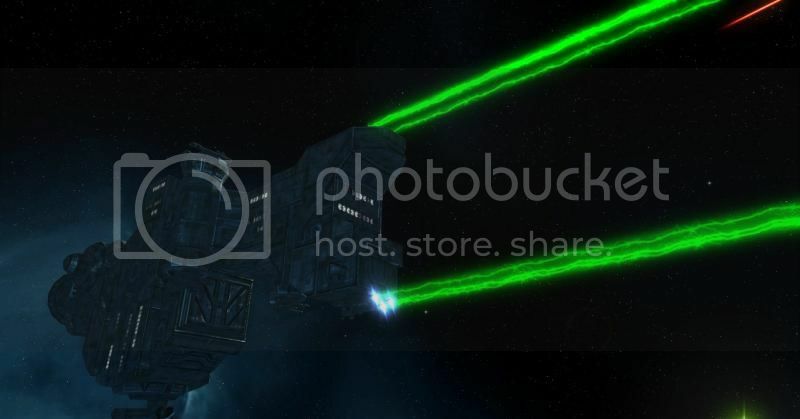 Armed with a single 4 tube Stalker missile launcher, and using a light frame it is able to outrun most other ships. Since armor had to be minimal to reduce mass, the Wraith was outfitted with experimental sensor disrupters and coated with a special material to confuse targeting computers. 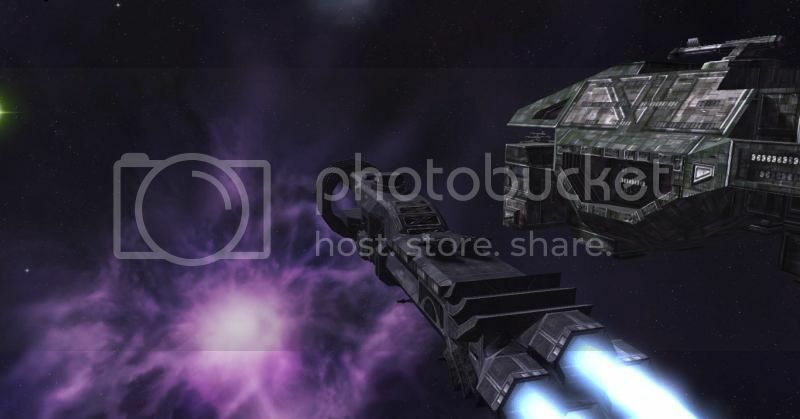 It also comes equiped with a rapid-boost afterburner and is able to depoly recon probes. The Wraith fills the role of a Scout/Recon vessel for Rheinland. recycling The Ring into a resort. Also, very awesome work on the Wraith! 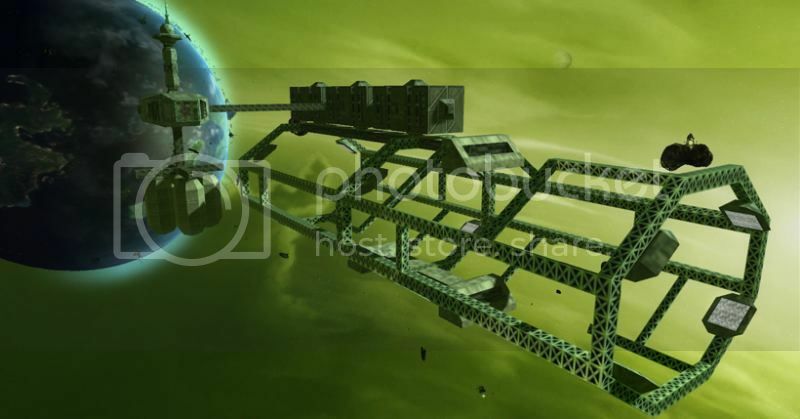 Hey, are you actually constructing the shipyards the same way they're made in Freelancer, with the various modular bits? Because that is ****ing awesome and I love you for it. That's a neat little stealthy design there, I like it. What sort of other ships does the Shattered Worlds mod have for Rheinland? I'll get to doing the UI sounds in a little while, I've been midly sick for about a week, and it's completely sapped my capacity for putting effort into things, hence my lack of words lately. Yes, thats exactualy what I'm doing. I based the Liberty one off the actual Norfolk Shipyard in game, I was going to base the Rheinland one off the ring, but I felt it was too unique a structure to be a generic shipyard... so we have the Kiel Class instead (named after the german port city and shipyard) the Kiel by the wat is much larger than the Norfolk class. Though I realised I forgot to put hardpoints for the 'build' effect... need to open it up in xsi and add some in. Take your time hey, there is no rush for ui sounds just yet. Still lots of modeling work to do. Might do some Kusari stuff soon. Also I should have some pics of my curent w.i.p. 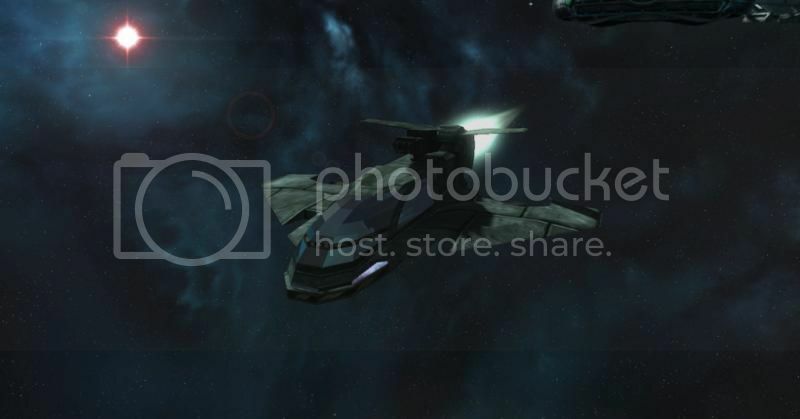 Nomad Battleship soon too. Pity I cant get it too look exactualy the same as freelancer, but sins doesn't realy have support for transparent textures. 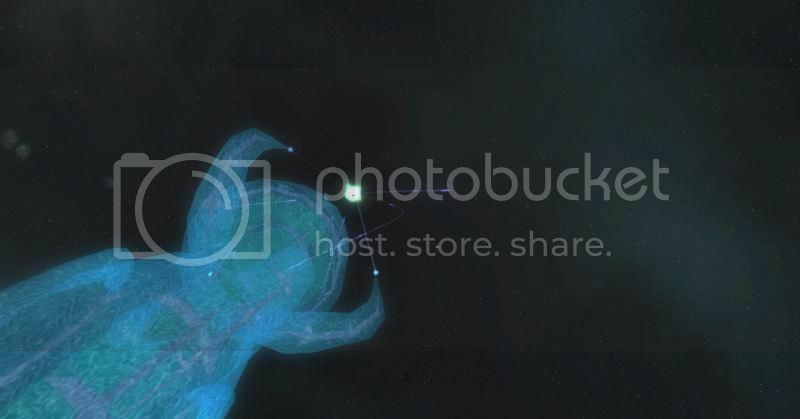 could you do the nomads as particle mesh -like the rotating pirate head? I'm hoping I can... At the moment I have the outer layer as a sheild mesh with a passive 'adaptive sheild' type ability. That combined with the directional sheild FX means the outer layer lights up in combat getting more opaque the more fire it takes. 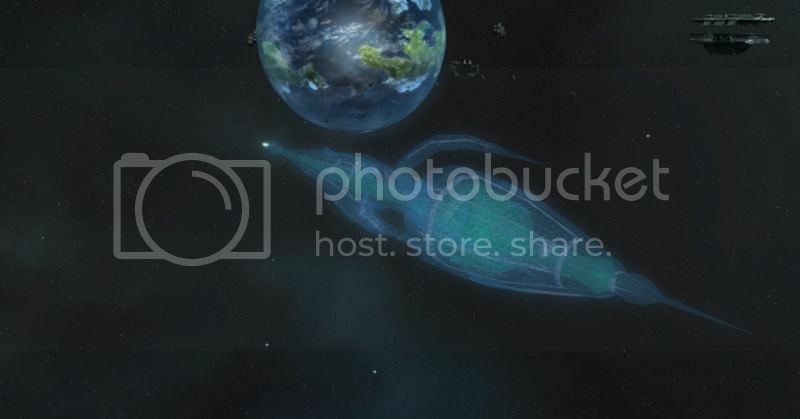 Actualy looks pretty cool, my in game explaination will be that the outer layer of nomad ships, while technicaly physical acts alot like a shield, increasing density and hardening in response to fire. When not under fire the outer layer is still visible, but much more transparent. Also some skyboxes make it stand out more or less, but overall I think it's pretty cool. :EDIT: Holy Bovine Excrement! After screwing around in particle forge I've worked out how to have the mesh trasnparent.... Please hold while I do some editing and make this a reality.... Stand by for improved Nomad Battleship. Woah, that is really impressive, nice work! Based on what I'd seen in other mods with meshes used in particle effects and stuff, they would cause other particles effects to go a bit screwy, but I can't see any of that here! 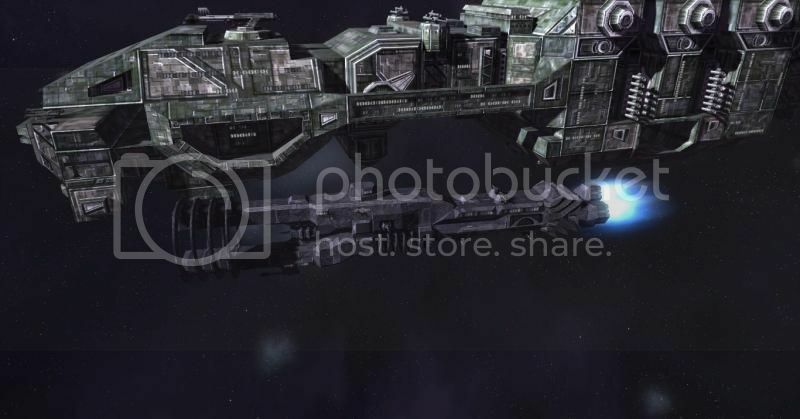 This gives me great hope for a Nomad fleet that looks amazing! The Independance is a Capital hunter, it's armament consists of: 1x forward Rail-Cannon, 8x Plasma Turret (4 left/right) 1x Ionic Burst Cannon (Ability Based Main Gun) and upgradable with 2x Multiple Heavy Missile Launchers. It also will have some support abilities.